We believe that each piece of the story requires different kind of expertise. Simple weddings, lavish weddings, traditional weddings, exotic weddings – We have the exact pieces required for each which transpire into a perfect tale. Let us show you the role of each. “A pessimist sees the difficulty in every opportunity; an optimist sees the opportunity in every difficulty” – Winston Churchill.The journey of PoonamMayankSharma is a story of two people who found an opportunity and emerged as one of the best wedding planners in Bangalore as a result of the circumstances they were tossed into. It is an obvious choice for a software engineer settled in the Silicon Valley of India to go for a secure and stable job in a software company. 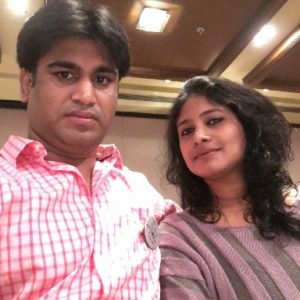 10 years back, Poonam and Mayank were thrown into the fire when the circumstances required them to juggle between their personal life which was mainly their two small kids and their professional life of a 9-5 software job. It became impossible to give enough time to their children with both husband and wife working and being an ambitious woman, Poonam did not want to give up on her career. It was at that time that the couple met a gentleman whose father grew roses. They met their mentor late Sandesh Reddy during that encounter. The simple work and art of a florist inspired the duo to venture into this business. This gave them ample freedom and flexibility to showcase their creativity. This idea resonated with their basic belief of nurturing the opportunity at hand. Today, that small idea and interest has burgeoned into a full-fledged wedding planning business and is listed in India’s top companies in its category. The Duo is an optimist in true sense. They believe that “Your big opportunity may be right where you are” and is still motivated to be persistent in giving the best.